During the week we will receive special visits and guests. In previous years we receive the local Fire Department, children authors (Mrs. Amal Freiji, Mrs. Nayera Salam), from Pediatrician Dr. Laura Badwan, from animator Mr. Haider Najeeb and from illustrator Mrs. Teresa Abboud. The children will enjoy a very special field trip per week. In previous years the field trips were to the following locations: Fernbank Museum, Peachtree Dekalb Airport , Tiny Towne and Center for Puppetry Arts. On Friday June 14, June 21 and June 28 at 2:30 pm, the children will present a performance to all the parents. The show will be videotaped and shared with parents unable to attend. Students will be grouped by age levels and by language proficiency levels. The Arabic language instruction will not be a continuation to the ongoing language courses. All the non-language activities are focused around Arab culture whenever possible. Lunch is not provided. Children should bring their own snacks and lunch. Camp consists of three Sessions; each Session is one week. Campers may attend one , two, or all three Sessions. 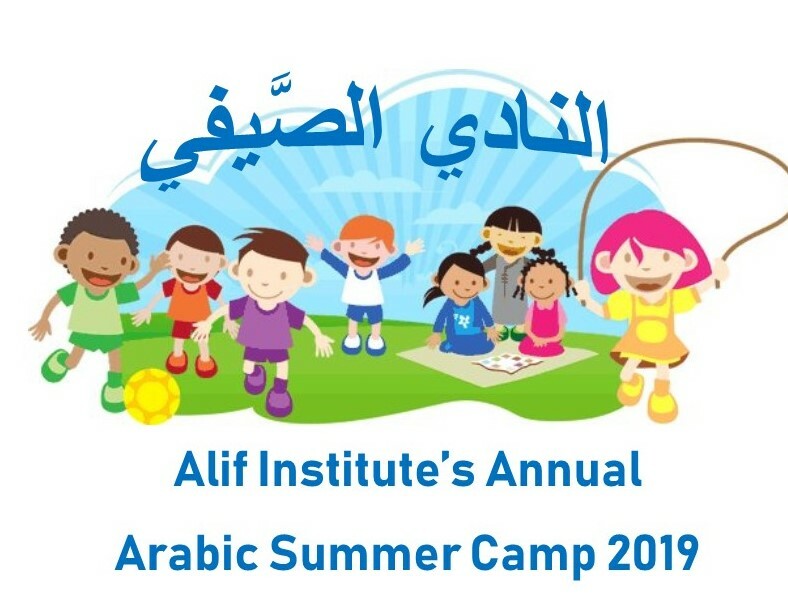 $325.00 / $300.00 for Alif Institute members. Sign-up by May 1st and receive $25 discount! Pre-Care & Post-Care: $15/hr for 1 child, $20/hr for 2 siblings, or $25/hr for 3 siblings.